6- Senior Citizens Mediclaim Policies - The Oriental Insurance Co. Ltd.
3.1 SENIOR CITIZEN:Means an Indian citizen who has attained the age of 60 (sixty) years as on the date of proposal. 3.2 INSURED PERSON:Means Person(s) named on the schedule of the policy. 3.3 SPECIFIED DISEASES: The diseases as mentioned in para 1 above. 3.4 ENTIRE CONTRACT: This policy/ proposal and declaration given by the insured constitute the complete contract of this policy. Only Insurer may alter the terms and conditions of this policy. Any alteration that may be made by the insurer shall only be evidenced by a duly signed and sealed endorsement on the policy. 3.5 THIRD PARTY ADMINISTRATOR (TPA): means any Company who has obtained licence from IRDA to practice as a third party administrator and is appointed by the Company. 3.6 NETWORK HOSPITAL: means hospital that has agreed with the TPA to participate for providing cashless health services to the insured persons. The list is maintained by and available with the TPA and the same is subject to amendment from time to time. 3.7 HOSPITALISATION PERIOD:The period for which an insured person is admitted in the hospital as inpatient and stays there for the sole purpose of receiving the necessary and reasonable treatment for the covered disease / ailment contracted / injuries sustained during the period of policy. The minimum period of stay shall be 24 (Twenty Four) hours. 3.8 PRE- HOSPITALISATION: Relevant medical expenses incurred during the period up to 30 (Thirty) days prior to hospitalisation on covered disease/ illness/ injury sustained shall be considered as part of claim mentioned under item 1.2 above. 3.9 POST-HOSPITALISATION:Relevant medical expenses incurred for the immediate period of 60 (sixty) days after hospitalisation (i.e. after discharge from hospital) on covered disease/illness/injury sustained shall be considered as part of claim mentioned under item 1.2 above. 3.10 MEDICAL PRACTITIONER: means a person who holds a degree/diploma of a recognized institution and is registered by Medical Council of any State of India. The term Medical Practitioner would include Physician, Specialist and Surgeon. 3.11 QUALIFIED NURSE: means a person who holds a certificate of a recognized Nursing Council. 3.12 PRE EXISTING HEALTH CONDITION OR DISEASE: means any ailment/ disease / injuries that the person is suffering from, (treated / untreated, declared or not declared in the proposal form) while taking a policy for the first time. 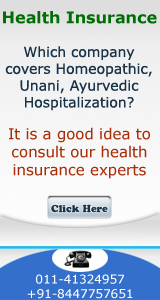 Further any complications arising from pre- existing ailment / disease / injuries shall be considered as a part of that pre existing health condition or disease. 3.13 IN-PATIENT:An Insured person who is admitted to hospital and stays for at least 24 (Twenty Four) hours for the sole purpose of receiving the treatment for covered ailment / illness / disease / injury / accident during the currency of the policy. 3.14 CASHLESS FACILITY: means the TPA may authorize upon the Insureds request for direct settlement of admissible claim as per agreed charges between Network Hospitals & the TPA. In such cases the TPA shall directly settle all eligible amounts with the Network Hospitals. 3.15 I.D. CARD: means the card issued to the Insured Person by the TPA to avail Cashless facility in the Network Hospital. 3.16 DAY CARE PROCEDURE: means the course of Medical treatment / surgical procedure listed at 2.3 (A) carried out, in Networked specialized Day Care Centre which is fully equipped with advanced technology and specialized infrastructure where the insured is discharged on the same day, the requirement of minimum beds shall be waived provided other conditions are complied with. 3.17 LIMIT OF INDEMNITY: means the amount stated in the schedule against the name of each insured person which represents maximum liability for any and all claims made during the policy period in respect of that insured person in respect of hospitalization taking place during currency of the policy. 3.18 ANY ONE ILLNESS: Any one illness shall be deemed to mean continuous period of illness and it includes relapse within 105 days from the date of discharge from the Hospital / nursing home from where the treatment was taken. Occurrence of the same illness after a lapse of 105 days as stated above shall be considered as fresh illness for the purpose of this policy. 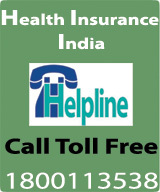 3.19 PERIOD OF POLICY: This insurance policy is issued for a period of one year as shown in the schedule.